Schefter also tweeted that the Dolphins paid $5M of Ryan Tannehill's $7M fully guaranteed money in the form of a signing bonus which he said "softened blow for Tennessee." A significant portion of that cap room stems from the long-awaited trade the Dolphins made on Friday, sending longtime starting quarterback Ryan Tannehill, plus a sixth-round pick in the upcoming National Football League draft, to the Tennesee Titans in exchange for a 2020 fourth-rounder and 2019 seventh-rounder. 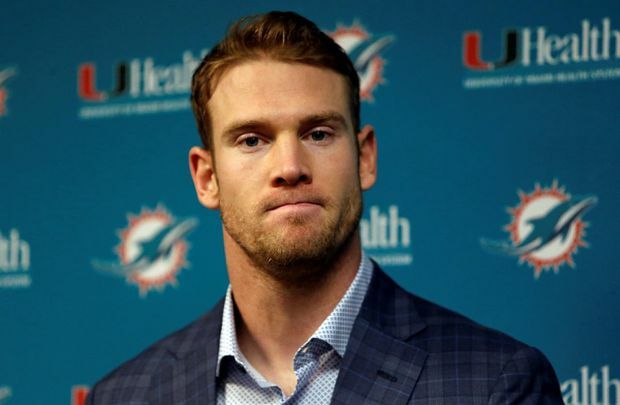 Before the trade, Tannehill had two years remaining on his contract and would've been paid a base salary of $18.7 million in 2019 and $19.4 million in 2020. Tannehill's deal reportedly reaches $12 million when playtime and other incentives are taken into consideration. The Dolphins finished last season 7-9, and finding a reliable starting quarterback could help them surpass that mark. Tannehill will become a well-accomplished backup for Marcus Mariota in Tennessee. Tannehill, 42-46 as a starter, missed all of 2017 with a knee injury, and sat out five games past year with an injury to his throwing shoulder. He posted a 42-46 record over six seasons, while throwing for 20,434 yards and 123 touchdowns with 75 interceptions. And, spoiler alert, the Dolphins do not care one iota about the $5M they're sending to Tennessee. Titans general manager Jon Robinson got creative in a trade to find the best option to fill the role. The 21-year-old, a committed Christian, has played two years for Nick Saban, who formerly coached the Dolphins. It's unknown whether the Dolphins have any interest in the quarterback. Subsequently, to be able to pick up any kind of compensation for the quarterback is a great get for them, especially the fourth-rounder for next year's draft.